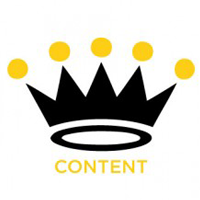 Content creation is the cornerstone of online marketing and it’s not always easy to get it right. Creating SEO optimised content that people really want to read is something of a hit and miss scenario for many site owners. If you can’t write, then it’s best not to bother trying, hire a professional instead and you will be much more likely to get results. With this in mind, below are five tips that will help your written content get noticed and help with your content marketing efforts. When it comes to written content, it’s important to ensure that it’s relevant to your audience if you’re going to connect with them. Whilst of course you’re essentially trying to sell something, it’s important that this is not overt and that the readers feels they are on a journey. This means that it’s necessary to connect with the reader, preferably on an emotional level, meaning you want to make them, laugh, angry etc. Sometimes this can be achieved by creating controversy and other times a satirical look at an issue will work. So long as the issue is important to the reader, that’s all that really matters. The most important thing is that you know your audience and write directly to them with informative content that they want and need. Keywords and phrases have been a large part of a copywriter’s job for many years. However, these days stuffing text with the same word or phrase over and over is not the best approach. For example, if you have a keyphrase of beautiful oranges roses, then this should be used once, with the individual words used one more time each throughout the copy. He goes on to say that whilst headlines, sub-headers, tags and anchor text can and should include keywords, this should be done in such a way that it’s extremely natural or it’s likely that Google will pick it up as spamming. The idea is never to sacrifice quality to please search engines, because it’s unlikely that it will. Modern web copy should be easy to skim, informative, with good spelling and grammar and natural. As a general rule, if you have to stop at any time when you’re reading your copy, then that part probably needs altering. A good exercise is to read copy aloud to yourself, as you will find that you naturally stutter over parts that don’t flow. Layout should include plenty of white space for ease of reading. Sub-headers should be used to further break up the text and for the search engine to crawl more effectively. Bullet points and lists are a good idea too, where you can use them, so if a paragraph can be broken down into bullets, do it. Bold and italics are used to place emphasis on important points. If you don’t have any important points to make, then you really do have bigger problems. What’s a blog or article without relevant information that’s very useful to the reader? The audience may as well be reading a shopping list and will soon become bored and move on to more interesting reading. Numbers tend to catch the eye and most of the time, depending on your audience, should be written numerically. People like numbers and they love stats, so if you have them, use them. Remember that you’re writing for a power reader, they want to be able to take in and digest the information as quickly and easily as possible, so avoid large chunks of unbroken text. A page that is full of words, with long sentences and paragraphs, no images, sub-headers or lists will not attract others nearly enough for them to want to link to your content. Keep it easy on the eye and ensure the information is useful and well-written and voila, you’re onto a winner! Contact MySocialAgency to find out more about our digital marketing services.